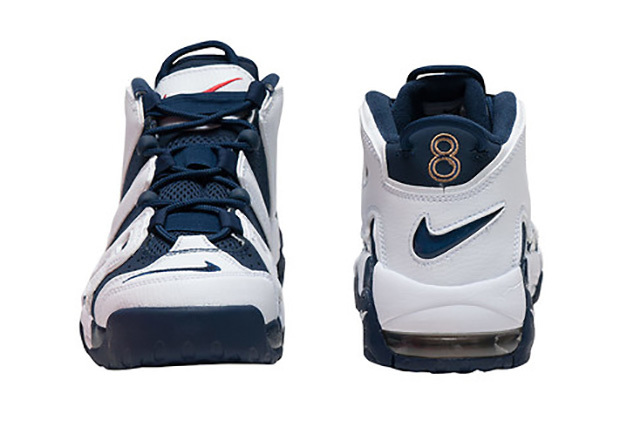 With the Rio Olympics a few months away, Nike Basketball is bringing back a number of iconic Dream Team era retros for the summer including the Nike Air More Uptempo “Olympic”. 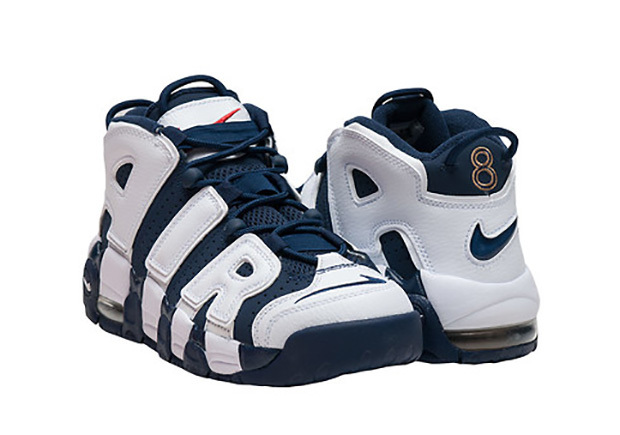 Scottie Pippen’s go-to model during the Atlanta Games was one of the boldest creations during that historic 1996 run, as the side panels shaped to form ‘AIR’ so there was no doubt in anyone’s mind what technology was featured on the footbed. 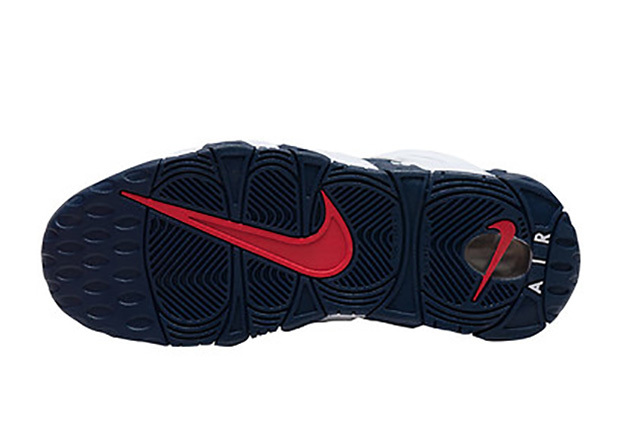 A Midnight Navy base sees accents of Sport Red to form a patriotic theme while a gold ‘8’ is stitched on the heel in honor of Pippen’s Olympic number. 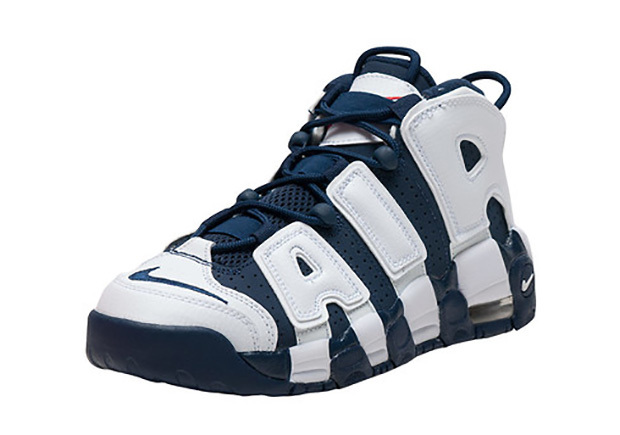 What do you think of this Nike Air More Uptempo retro? Grade school sizes are available today via Jimmy Jazz for $130.